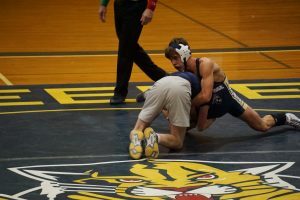 Wrestling beat Wheeler 54-27. 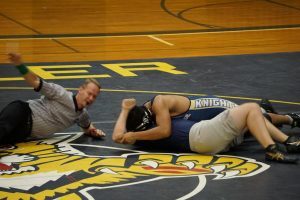 Hudson Andrews, Aidan Mahon-Merriman, Brian Tjandra, Jesus Perez-Coronel, Francisco Altamirano, and Camden Cochran all picked up pins for the Knights victory. Jake Piccirilli, Thomas Silva, and Anthony Garcia also picked up victory’s in the match. At the JV level, Jared MacCracken, Louis Adrianza-Paz, Ryan Fussell, and Gage Milbourn secure victory’s. 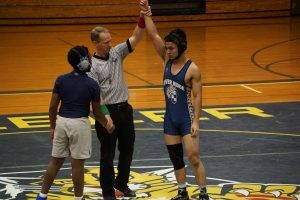 Our Wrestling Knights improve their dual record to 9-5 on the year and will get back on the mats this weekend at the Creekview Invitational for a 13 team individual tournament.